ITAM is a private research university located in Mexico City, and is one of the nation’s most esteemed higher education institutions. 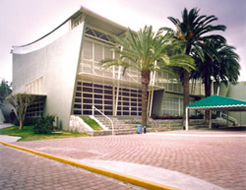 The school is highly evaluated in the Americas for its study in business, earning the name as “Mexico’s think-tank.” The unique feature of the school’s curriculum is the integration of humanistic spirit and philosophical insights in all courses of various disciplines, aiming to cultivate students with high moral and ethical values; to those business students who will soon become managers in companies, it is a valuable training. In addition, the school also receives a number of sponsorships from private and non-profit groups, making various scholarships and grants available for students to apply.